Stellar weather blessed us for a visit from out-of-town family and friends last weekend. My brother, who introduced me to bird hunting many years ago (thanks, dude), joined me and Leslie in a couple of my favorite birdspots. The next day, friends of his (and now ours) joined us for a wonderful hike with shotguns. I’m proud of the places we have to hunt around here — all public — and want to share them with people I like and care about, or as Leslie likes to quote from my extemporaneous narration of a recent video, “…with people I like and dogs I love.” It’s the sharing of it that intensifies my enjoyment of my favorite pastime; when I go alone, or even with my immediate family unit (Leslie, Angus, and Peat), it’s wonderful but different than the rare occasions when special people to me can see and appreciate the beauty and thrill of our “backyard” outings. It’s really the sharing that matters. It’s not, “Look what I have”; it’s more like, “Look what I wish you could share with me all the time because it’s such an incredible aesthetic, athletic, human, animal, and natural experience; it keeps me going, gives me something amazing to look forward to because you never know what it’s going to be like except physically demanding and visually stunning — we might get birds, we might see some excellent dog work, we might see other wildlife, we might learn something about ourselves…” To me, you couldn’t ask for more than to be able to share this incredible experience with others you suspect might get something similar out of it. 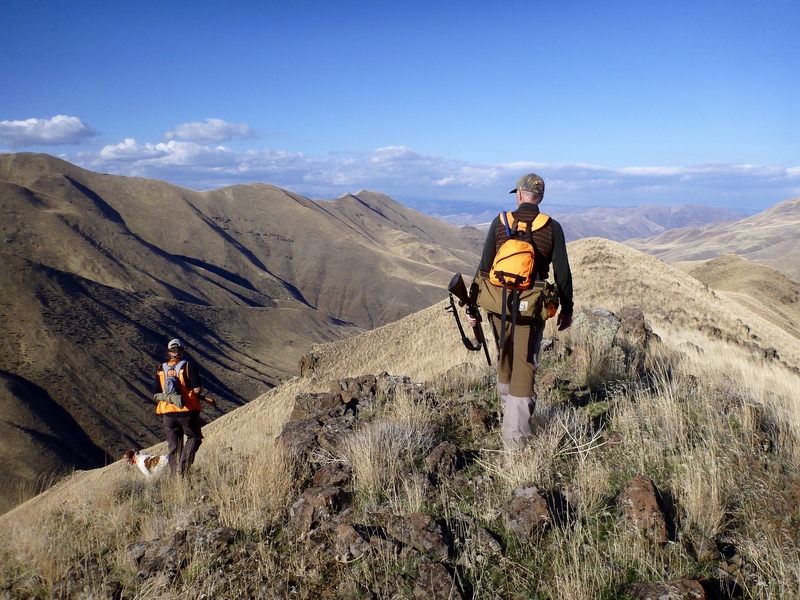 My brother enjoyed the hunts we shared, which made me happy, partly because he introduced me to this activity 20 years ago by loaning me his Sears & Roebuck 20-gauge shotgun with a built-in adjustable choke to look for ruffed grouse to shoot in ground-growing juniper patches in southwestern Montana when I was still a cat person. 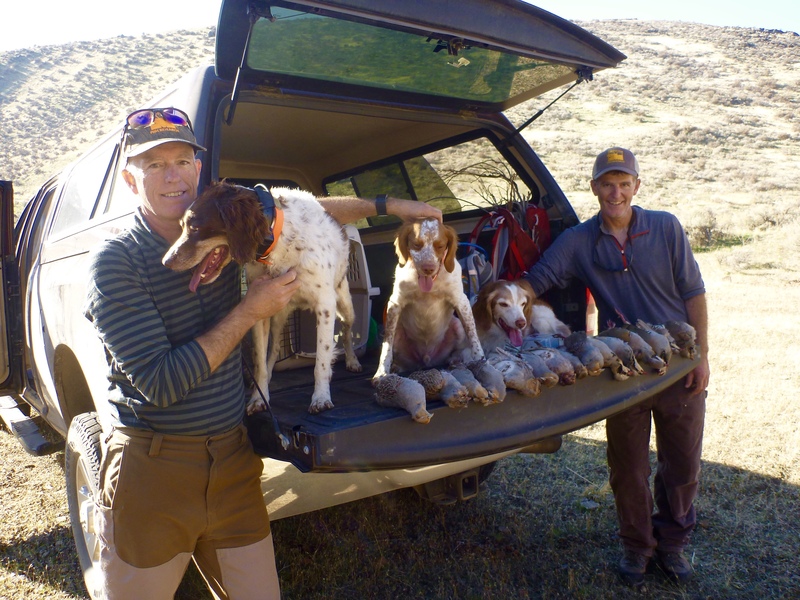 I can still remember when we met up after a day of hunting — me for grouse and he for pronghorn — and how happy he seemed when he saw the several birds in my hand. 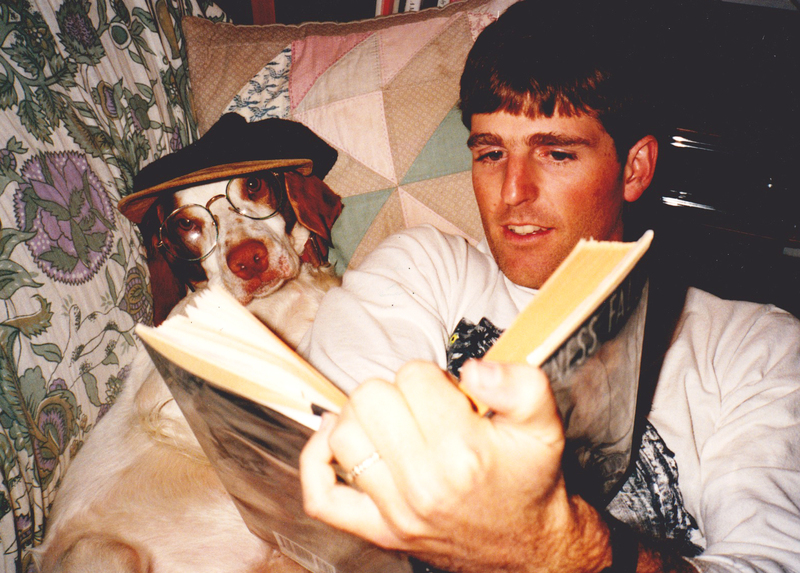 He also introduced me to dogs through his first Brittany, Zeke, the best bird dog — upland and waterfowl — that ever lived (a scientific fact; I have pictures to prove it). Saying “He introduced me to dogs” is like a blind person describing seeing the world for the first time after gaining vision: there is the ecstasy of discovering new beauties and the horror of some harsh realities, like destroyed shoes and favorite furniture and — we all know — deciding to end a treasured companion’s life. My brother liked what our dogs provided, which really pleased me, since — if you’re familiar with this blog — you know it’s been a journey-and-a-half. Sharing the land and the dogs, both sources of pleasure and, yes, pride, was a gift to me. There were lots of birds, he shot well (better than I), and we all had fun. He and his wife had their old Brittany (13 years) with them, although they kept him leashed most of the time so he wouldn’t run himself to death out there. The next day, with three more people, we made a hunting party of 7. I knew we wouldn’t see the frequency of birds of the previous day, and the hiking would be tougher, but the weather was gorgeous and the terrain stunning, and everyone loved the 4 or 5 hours we were out there, looking, laughing, falling, stalking, waiting, and shooting. The whole thing was stellar. Here are videos of the first and second days, respectively. I can’t recall the many times I’ve seen photos that just pull me into the lsndscape. The photo titled “The Land” is a beautiful example of this. I hadn’t thought of my first gun in a long time. I also had a “Monkey Ward” adjustable choke scatter gun. 12 years old, 20 gauge was just right…..the bolt action? Eh, not so great. I usually needed that second (and too often, third) shot. I enjoyed your videos and commentw on Stellar Hunting! I would like to know what you have on your left wrist as a GPS? Have you tried the Sport Dog GPS collar using Blue Tooth for your dogs location etc? Have a Happy Thanksgiving and hunt safely! Thanks, Kent. I have a Garmin vivoactive HR on my wrist. Didn’t want to spend the $ for the fenix3 which links up to the Alpha to show dog location on my watch. I haven’t used the SportDog products. Do you like them? Well, just received the Sport Dog GPS/E-Collar with Blue Tooth, but have not tried as yet. Think getting voice on an ear bud as to speed, location and if on point information on dog (s) would be the ticket. Looking at a wrist compass seems easier than tracking on a hand held transmitter. When I get it set up, hopefully soon I will let you know. I currently use a Garmin and it works well. As always, well done. 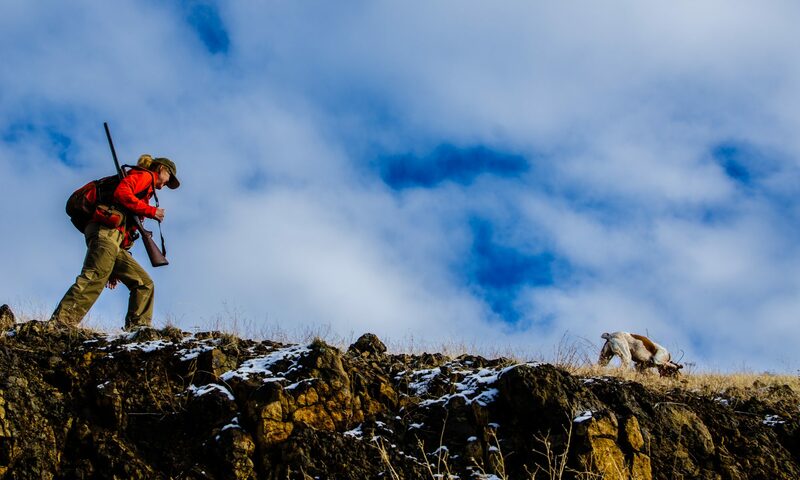 Thanks for sharing your thoughts about hunting and your relationships with others. You aren’t helping right now. 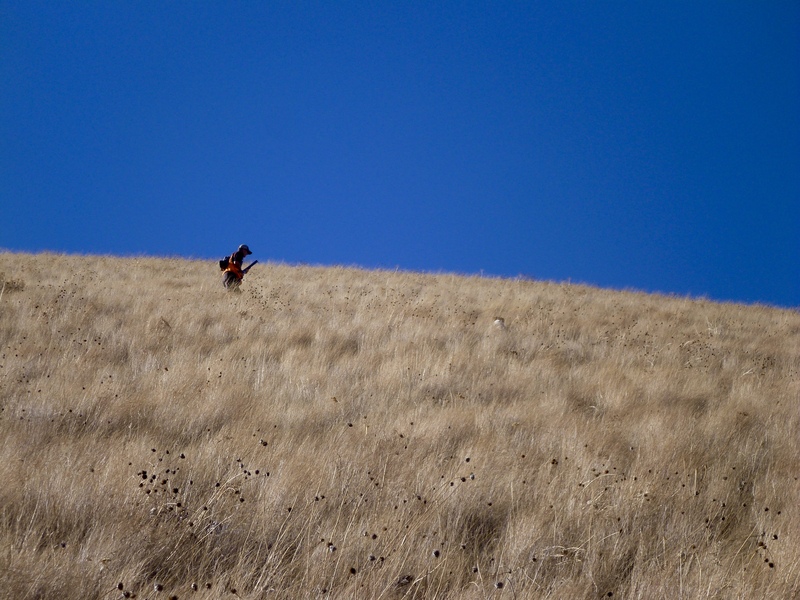 I am trying to find ways to skip Thanksgiving for more chukar adventures. Getting some pushback on that. Hey Bob, Geoff shared this with me. It was fun to watch you and your brother in the field. Beautiful country. Keep up the great writing. Music aint’ bad neither.